This Glossary Cooking Terms Section contains our most recent glossary additions that you and your family will enjoy. A traditional Asian cooking vessel shaped like a large low bowl with two handles. Modern woks are usually made from steel or aluminum. 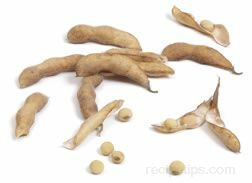 They heat food such as meats and vegetables quickly and evenly and are excellent for stir-frying food with a minimum of oil. Food is easily tossed in the wok to ensure even cooking. Typical Grill and Roasting Woks are made from porcelain enameled steel that is formed into square or round metal shapes with perforated holes on the surface for cooking various ingredients on outdoor grills. There are several types of Grill Woks available for use. One is made similar to a bowl Wok with slanted sides and an open center. 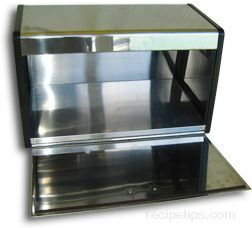 Another type of Grill Wok, referred to as a Vertical Roasting Wok, is designed with a center container for holding basting liquids. The core container enables poultry to be basted from the inside out, adding moisture and flavors as the poultry cooks. As the food cooks, the basting liquid not only moistens the poultry but also drips onto the surrounding vegetables or other ingredients to enhance the flavors of other items being cooked. The Vertical Roasting Wok is often used to prepare a popular grilled item known as "Beer Can Chicken." Craisin is the registered trademark of Ocean Spray Cranberries, Inc. and is used as the name of their commercial brand of dried cranberries. 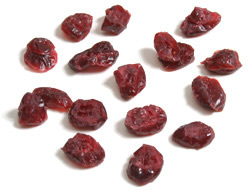 Dried cranberries are made in a similar process to making raisins from grapes in which the fresh cranberries are partially dehydrated or dried in some manner. 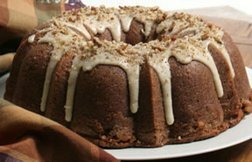 A Bundt cake is the name given to a cake that is baked in a heavy-walled tube pan that has an indented curvature design to it that creates a decorative shaped cake. 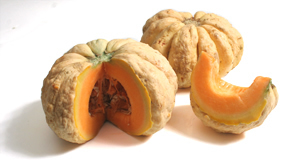 A French heirloom melon with a unique shape and appearance. Its flattened shape and bumpy, straw-colored skin makes it an eye-catcher. Pasta made with wild rice flour. It is brown in color and has a nice nutty flavor. 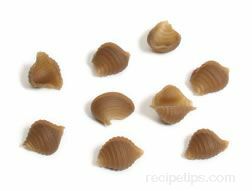 Wild rice pasta that is made with only wild rice flour would be gluten-free pasta. 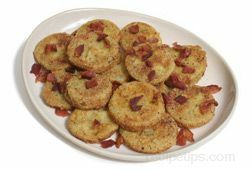 As stated in their name, these are green tomatoes that are fried. The tomatoes are picked while they are still green and then cut to into 1/4 inch to 1/2 inch thick slices. 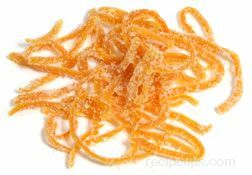 Candied fruit, also referred to as crystallized fruit, is fruit that has been cooked in sugar syrup and then allowed to set in the syrup for a long period of time. Haupia is a traditional coconut-milk Hawaiian dessert often found at luaus and other local gatherings in Hawaii. 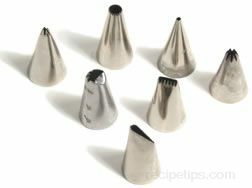 Decorating tips are the nozzles on the end of a pastry bag that the frosting or filling is forced through to apply it to cakes, cookies, or pastries. 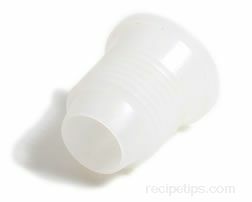 A coupler is a device used for holding the decorating tips on the end of a pastry bag. The decorating tips allow you to create different types of designs when decorating. 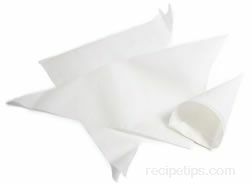 Parchment cones are used for decorating with small amounts of frosting. They are used to apply lettering, small designs, and for touching up areas. 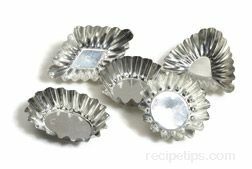 These small tart-like tins are used to make a traditional Norwegian cookie. The tins are available in several different shapes. A kitchen tool used to remove the kernels from the corn cob. There are a couple different types of corn strippers available. A type of baking chips that has a peanut butter flavor. Peanut butter chips are added to cookies and bars to add peanut butter flavor. 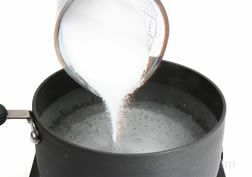 A process in which a whole turkey is soaked in a salt and water solution for a period of time for the purpose of moistening the meat and enhancing the flavor. A type of turkey that has been soaked in a solution of salt and water for a period of time for the purpose of moistening the meat and enhancing the flavor. A solution of salt and water used as a soaking medium for whole turkeys for the purpose of moistening the meat and enhancing the flavor. 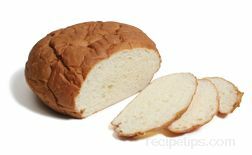 A type of bread that originated in Hawaii in the late 1950s, developed specifically by the Taira family of Hilo, who named the bread, “King’s Hawaiian® Sweet Bread." The recipe was inspired by a type of Portuguese sweet bread that was often supplied to sailors who preferred it during their lengthy ocean voyages. A soft-ripened cheese produced in Dauphiné; made with thermalized cow's milk. This soft cheese has a slightly stinky aroma. A kitchen appliance designed to keep crackers, cookies, chips, and other crispy foods fresh and crisp. 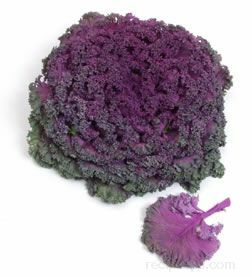 A substance found in numerous foods, which acts as an antioxidant, helping to diminish and repair damage to cells and tissues. A generic classification of foods that are high in a type of carbohydrate that is considered unhealthy. An adverse reaction in the human body caused by substances in certain foods. Specifically, a food allergy is caused by a response of the immune system to certain food proteins.